Includes advice and product suggestions on equipment that may help with getting on and off the toilet. 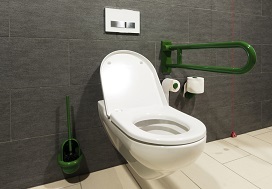 This includes advice on raised toilet seats, toilet surround rails, toilet rails with a combined seat and wall mounted toilets. Includes advice and product suggestions on incontinence and equipment that may help if you have difficulty getting to a toilet including urinal bottles and commodes. 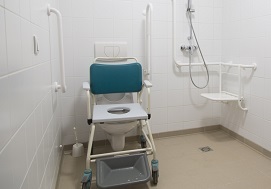 Includes advice and product suggestions on equipment which may make a toilet seat more comfortable, flush controls, equipment to help with self care after using the toilet and devices to limit spillage when using the toilet.